On Sunday 21st April 2019 the sun will rise at 07:43 and will set at 18:45. It will be a mild day, with temperatures reaching around 19.6°C. Today is expected to be a dry day, with a very low chance of rain. There will be a gentle breeze in the air today, with a maximum expected wind speed of 11mph. On Monday 22nd April 2019 the sun will rise at 07:44 and will set at 18:44. It will be a mild day, with temperatures reaching around 19.1°C. Today is expected to be a dry day, with a very low chance of rain. There will be a gentle breeze in the air today, with a maximum expected wind speed of 10mph. On Tuesday 23rd April 2019 the sun will rise at 07:45 and will set at 18:42. It will be a mild day, with temperatures reaching around 21.9°C. Today is expected to be a dry day, with a very low chance of rain. It will be a very clam day today, with a maximum expected wind speed of 10mph. On Wednesday 24th April 2019 the sun will rise at 07:45 and will set at 18:41. It's going to be quite a warm day, with temperatures reaching 23°C. Today is expected to be a dry day, with a very low chance of rain. It will be a very clam day today, with a maximum expected wind speed of 11mph. On Thursday 25th April 2019 the sun will rise at 07:46 and will set at 18:40. It will be a mild day, with temperatures reaching around 22°C. Today is expected to be a dry day, with a very low chance of rain. It will be a very clam day today, with a maximum expected wind speed of 8mph. On Friday 26th April 2019 the sun will rise at 07:47 and will set at 18:39. It will be a mild day, with temperatures reaching around 19°C. Today is expected to be a dry day, with a very low chance of rain. It will be a very clam day today, with a maximum expected wind speed of 8mph. On Saturday 27th April 2019 the sun will rise at 07:48 and will set at 18:38. It will be a mild day, with temperatures reaching around 16.1°C. Today is expected to be a dry day, with a very low chance of rain. It will be a very clam day today, with a maximum expected wind speed of 5mph. Woodhouse would like to welcome you to its 54 hectares of gum tree studded countryside in the Piccadilly Valley of the Adelaide Hills, just 20 minutes from the Adelaide CBD. Woodhouse offers convenient family and large group accommodation options with many free fun and challenging activities. It is regularly used for school camps, sport groups, conferences, weddings, campers and families. This scout owned and operated property is a home base for Jamborees and welcomes well over 70,000 guests each year from all over the world. 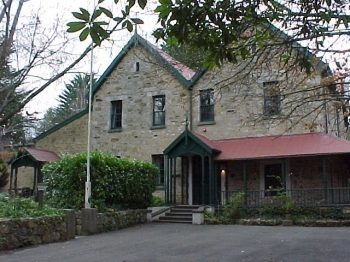 It is a great place for tourists to experience the Adelaide Hills and country life. Guests can also enjoy the iconic Challenge Hill Obstacle Adventure Course, orienteering, frisnet golf, the Heysen and the wetlands walking trails. Woodhouse.org.au…a place where memories are made.